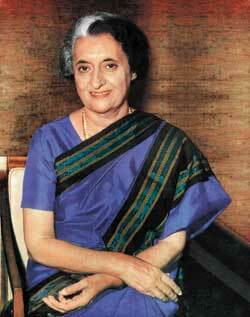 Indira Gandhi, Prime Minister of India, initiated Liberation of Bangladesh during 1971 with military action in Chittagong Hill Tracts. 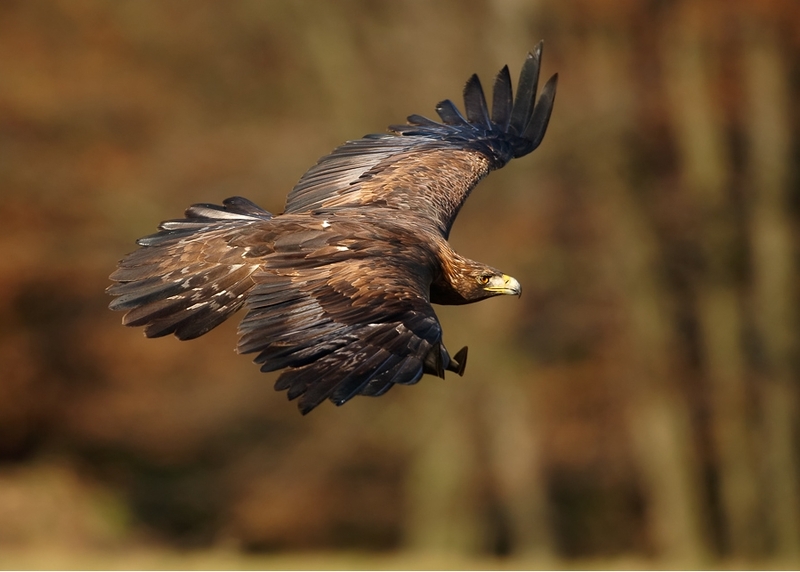 The battle plan of this military action is known as Operation Eagle. Pakistan’s Lt. Gen A. A. K. Niazi signs the instrument of surrender on December 16, 1971, surrendering his forces to Lt. Gen Jagjit Singh Aurora Commander of ‘ Mitro Bahini ‘. The very first lesson that I have learned from Indian history is about the invasion of India by Alexander the Great in 326 B.C. King Porus( Raja Puru) chose to fight Alexander the Great in order to defend his kingdom Pauravaa and his people. In the epic battle, the King had lost his sons who all chose death in the battle rather than surrender. After fierce fighting and very heavy casualties on both sides, the King who had suffered many arrow wounds in the battle was defeated and was captured. In a famous meeting, Alexander had reportedly asked the King ” how should I treat you ? “. Porus replied, ” the way one King treats another “. Alexander was very impressed by the brave and powerful response of King Porus and ordered his men to immediately release the prisoner and offered him a seat and treated him with grace and dignity. This is our Indian tradition. It is honorable to choose death in the battle fighting your enemy. But it is equally important to treat your captured enemy with grace and dignity. The picture of Pakistan’s surrender to India on 16 December, 1971 truly reflects the adherence to our battle field’s traditions. It would be a mistake to think that the Liberation War of Bangladesh was a ‘cake walk’ for India. I could narrate my personal experience about this War. I attended all the meetings at my Unit and the battle plans were very carefully discussed. The task was explained in strict professional terms. Not even once, the enemy was shown any disrespect. Even in private conversations, none of us spoke about the enemy in a derogatory manner. We wanted to accomplish our task and perform our duty using the skills and training we had received. We never underestimated enemy’s strength and professional competence. We clearly know the challenge is tough and we had no sense of bitterness while we accomplished our task. Our Unit was not involved in the major push towards the capital city. The enemy had deployed a lot of their troops along the border and we made contact with some of the posts they were defending. In the first encounter, Pakistan’s fighters had put up a brave resistance and I remember two of their Junior Commissioned Officers who had sacrificed their lives defending their post. These two Pakistani officers of Risaldar rank were firing their made in China machine guns, which make a characteristic ‘coughing’ sound. I was taken aback to know that apart from the United States, China’s massive involvement in the supply of weapons and ammunition to Pakistan. I was with a reserve company and was nervously watching the progress of our attack.The ‘coughing’ did not stop for a long time. Eventually, these ‘coughing’ machine guns were silenced when our men climbed over the roof of the fortified bunker and had tossed grenades inside.They could have given up and surrendered but they had willingly chose not to do so. We buried our brave men who gave their lives in this successful attack and so also we buried the enemy who chose to fight till the end. We had recognized that these two brave Pathans were just performing their duty in the same spirit with which we wanted to perform our job.These two were substantially responsible and in the true tradition of Armed Forces be given the credit for saving the lives of their comrades who had all escaped under the cover of darkness and we could not capture any one. In the second encounter, the fight was much more fierce, we achieved our goal and we paid a price. I had carefully documented the names of the battle killed and had them buried in the foreign soil and myself and my team of medical assistants had a busy time taking care of the battle wounded. We captured some enemy soldiers and I remember meeting a Baloch soldier who came to me for medical attention. He had an ankle injury and the injury was not life-threatening but I did not want that he should be forced to march with an ankle injury. I sent him to the Field Hospital in the same helicopter taking the battle wounded on our side.The Baloch soldiers were totally shocked and surprised to find a doctor working along with the men right next to the battle ground. I had asked him as to when he met a doctor on his side. They had no doctor on their side and they also lacked support from their Officers. None above the rank of Junior Commissioned Officer was present on their side to give them the encouragement that they would need in the stressful moments of the battle. On the Indian side, the Companies were commanded by experienced Officers and they had displayed great leadership qualities and four of our Officers had received the Military Honours/Gallantry Awards. In spite of short comings, the Pakistani men stood up for the challenge and had shown their willingness to fight with us. But, the second encounter was very decisive. 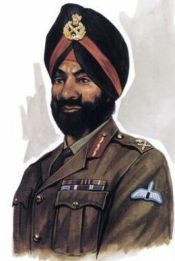 Their Commanders recognized the futility of their resistance and made a good choice to withdraw and had very correctly decided to surrender to the Indian side collectively at one central location. India had kept its promise to treat them well and all of them were returned to Pakistan unharmed. I take pride in the fact that I had belonged to a professional Army which fought this battle without a trace of hatred and did not act with a sense of vengeance. We used our force with a sense of restraint, had given the enemy fair treatment, conducted ourselves with a due sense of decorum and dignity, followed the well-established conventions of war and I believe that we supported a just cause. Banga Bandhu Sheik Mujibur Rehman had declared Independence and had announced the creation of Bangladesh on March 25, 1971, several months before this armed conflict could take place. Pakistan’s Leader had a good opportunity to totally avoid this war. But, the men of Armed Forces did what they are expected to do. We followed the orders and acted in obedience to our Commanders and so it is but natural to have fallen heroes on both the sides of this fight. 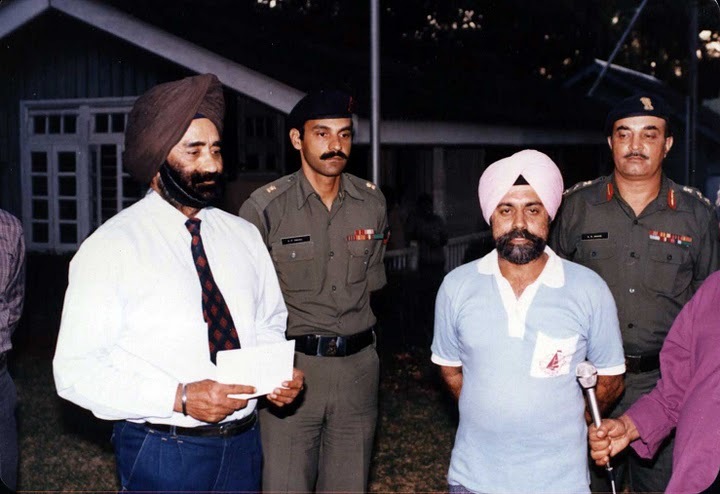 General Sujan Singh Uban of Special Frontier Force – The Liberation War of Bangladesh.Did he speak about Fallen Heroes on Both Sides of this War? Major General (Retd) Sujan Singh Uban, AVSM, the former Inspector General of Special Frontier Force has authored this book and had narrated the military exploits of his Force while operating in the difficult terrain of Chittagong Hill Tracts during Indo-Pak War of 1971. Did he mention about the ‘Fallen Heroes’ of Pakistani Army? Would it not be in the true military tradition to give recognition to your enemy with whom you are engaged in Combat? I am making a special mention about these two Junior Commissioned Officers who being Pathans may have belonged to Pakistan’s Frontier Force Regiment.Both of them had carried in their pockets personal letters that they had received from their wives. The wives did not ask them for any gifts or favors. They had only discussed the problem of rearing their children in the remote villages of Pakistan’s Frontier Region.The wives had specially mentioned about lack of fresh milk to feed the kids in the remote villages that they had lived. Both of them were aware of the families that they support. They had a very good chance to escape from their post that they were defending. They had allowed all other men at their post to save their lives. They knew that they had lost their post and the just two of them could not really stop us. At that point, they could have just saved their lives if not for their own sake, but for the sake of their wives and children whom they had loved. They had a sense of pride in their military service which they had valued more than their family relationships. They made a deliberate choice to remain inside their fortified bunker and displayed no inclination to surrender when the Battle was lost. We had no choice other than silencing their machine guns. This War would not be memorable if there was no display of Bravery by the Enemy. The primary purpose of this military action in Chittagong Hill Tracts was that of providing combat training and to help the men of my Organization to gain useful combat experience to accomplish their military mission in the occupied Land of Tibet. Ex – Service Number. MS-8466, Rank. LIEUTENANT/CAPTAIN AMC/SSC. Medical Officer South Column Operation Eagle (1971) Headquarters Establishment No. 22 C/O 56 APO. 5. The Phantoms of Chittagong – A Story from Chittagong Hill Tracts. 6. The Fifth Army – The Untold Story from Chittagong Hill Tracts. 7. The Medical Plan for Fifth Army in Bangladesh – The Experience of Madhurya in Chittagong Hill Tracts. 9. The Art of Battlefield Medicine. THE LIBERATION WAR OF BANGLADESH – The Indo-Pak War of 1971 and the Birth of Bangladesh are very significant achievements of Prime Minister Indira Gandhi. As I was then serving in an Establishment under the Cabinet Secretariat, I had direct and personal understanding of her Foreign Policy Initiatives. She had personally approved our military Operation in Chittagong Hill Tracts. In the conduct of this War, we had faced a very critical moment and it needed her personal intervention and a decision that she alone could make. I rendered my services and had overcome the challenge posed by that critical situation. The importance of this situation could be understood as it needed an intervention from the Prime Minister. I am now asking the Government of India to recognize my GALLANT response in enemy’s territory without any concern for my personal safety. Pingback: 1971-LIBERATION WAR OF BANGLADESH – FALLEN HEROES ON BOTH SIDES | Bhavanajagat.